As we discussed in making your Collab365 Freelancer profile look awesome, it’s even more important to create a great looking MicroJob that excites the user, solves a genuine problem and is very well specified. Your MicroJob won’t be found on Google / Bing or the site search. When the buyer is looking at your MicroJob they maybe confused and have more questions than answers. If you don’t spec. the MicroJob well – this can end in a dispute where the buyer expects one thing, and you deliver another. Your sales volume won’t be as high as others who have spent time and effort to craft a great MicroJob. We’re sure you don’t want to experience any of the above, so let’s spend a few minutes sharing what we think will work well. There’s also a great example of a ‘bad MicroJob’ and a well written MicroJob further down. The first part is to decide what sort of MicroJob you are going to offer and for this you need to consider your skills, what is in demand, what people will search for, and how much the job is worth. Look on forums based (like Stack Exchange, Microsoft Forums) and find out what the popular pain points are. Look at old as well as up and coming conference agendas to see what sessions are covered – these give a good indication about the popularity of a certain technology or skill. Try tools like BuzzSumo and see what’s trended most over the last few months. Take a look at the Microsoft Road-map for the technologies related to your skills. What are the new tools, technologies and challenges facing the industry that your skills, (well packaged in a MicroJob) could help solve? Do some keyword research using one of the many SEO tools out there, most offer some form of free version. See what people are searching for in relation to the jobs you are planning to offer and build your title and description to incorporate these words. One thing to be careful of, don’t just repeat or list your chosen keywords. Unfortunately good SEO is not that easy and even worse it makes your MicroJob unexciting for your potential buyer. One great side effect of this approach is that helps you understand further where the demand is, if one sells more than the others then you know to offer more jobs in that area, or try different market sectors and keywords in the ones that are not quite as popular. We have all had challenges in relation to misunderstood, poorly communicated and missing requirements or specifications. The MicroJob description has to be good enough to stop that happening. We find it is best to take the customer on a journey by ensuring you describe the Problem, your Solution, and the Features of your solution (see the example MicroJob below). All aspects of the MicroJob must be fully and clearly described with the ultimate aim being for the customer to have no questions so they can just click ‘BUY’. It’s hard to achieve but definitely possible! Also make sure you are offering a small package of work, not a larger “project”. As a guide you should strive to offer something that can be completed with 1-4 hours. You can also add custom extras to increase your earnings. The golden rule here is.. be specific! The title needs to give as much information as it can without being too large and needs to start with “I will….” and of course use some of the keywords from your research. Think about what the potential customer may search for in Google or Bing. I will teach you how to create SQL Stored procedure for 1 hour. 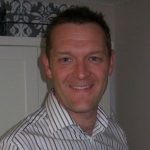 I will carry out a SharePoint Developer interview for 1 candidate online and feedback. I will help you with SQL Stored procedures. I will interview a candidate on SharePoint. As described above, this is the point at which we need to cover the Problem, Solution and Features. So what do you need to cover in each of those aspects? 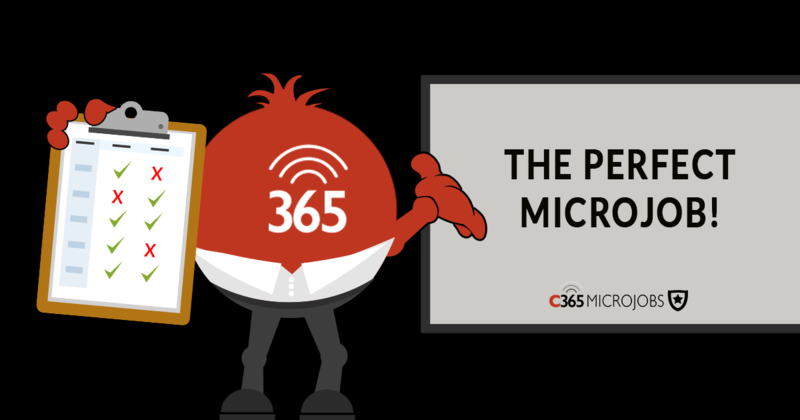 Problem – This is the introduction to your MicroJob and should outline the problem that your customers are experiencing. For example, “Are you struggling to build an SPFx development environment?”. Think about the pain that the customer will be experiencing when they’re browsing your job. In our example above, you could easily envisage a developer, new to SPFx, who doesn’t know what tools to deploy or how to configure them. This will lead to them being very frustrated and see them wasting hours researching. Speaking to the customer’s “pain” will allow them to immediately relate to how you are going to solve their problems. I can fix any phone for you. Solution – In this section explain how you will solve that problem for them and how it will benefit them after you’ve delivered. This tells them why they should buy your MicroJob. As a guide, think about the customer’s experience before they buy your job in the “Problem” and in this section speak to how you will solve their problem after you’ve delivered. Once you’ve purchased my MicroJob, within 2 days I will fix your screen and you will enjoy a brand new, clear screen with zero scratches. What are their worries and fears (when hovering over your ‘buy’ button)? What is their current emotion experiencing the problem you are going to solve for them? Remember, buyers will be a solution to their problem. Talk to their problem not about yourself in this section. Features – Now this is where we get specific, expand further into your solution and what the features or specifics of your solution are. Often bullet points work best here. List out what you will provide the customer and how you will provide it. Include any constraining factors such as tech, versions, duration, volume or size of work and the actual end deliverable. For the more complicated jobs it may be worth covering what is NOT included at the end, this can be just as important as what is included. Call out and clear up any internal assumptions a buyer might have from what they have read so far. I will use the same glass that Apple used. Your data is secure, I won’t need to access your phone, so please make sure it has a locked screen. In the unlikely event that I can’t repair the screen I will offer a full refund. I’ve fixed over 3000 IPhone screens for customers all over the world. I cannot fix iPhone’s 1-7 or phones by any other manufacturer. You may have already covered this in your description, however its worth highlighting in the ‘User Instructions’ section again covering what you need to deliver this job in the duration and cost you are offering? any prerequisites? This can be anything from access to systems, state of a system prior to starting, information needed, to timely communication needs. Tell the user in simple terms what they need to do next once they have bought the job. Could be as simple as ‘Please carry out these prerequisites’ or ‘I will be in touch within X number of hours on the messaging system’. NB: Don’t forget to allow sufficient time to get started and consider that customers may be located in different time zones when setting the duration of your job. You don’t have to provide attachments (images, PowerPoints, Visios, etc), however, it is a great way to ensure understanding or to sell your skills to them. Where it makes sense, show an example or a diagram of what it is you will do for the customer, it is a bit cliché but …..”a picture paints a thousand words”….there I said it. Offer a follow up to review progress from an initial consultation. Offer a recording of your session. Offer notes from your session. In this MicroJob I will take you on a tour around Microsoft Teams. I will show you how to use it and cover the best practices. Book below and you won’t be disappointed! Daunting to learn as it’s such a comprehensive collaboration tool. Hard to understand when and where to use which features. Don’t waste days and days reading books and blogs leaving you with more questions than answers. Purchase my MicroJob, set aside one hour and immediately improve your knowledge. I’ve delivered this course countless times and my ratings are all extremely high. You won’t be disappointed. Navigate around the Teams Interface confidently. Create Teams and Add members. Add guests / external users to your teams. 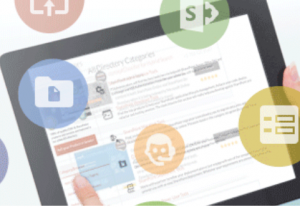 Understand how Teams integrate with Office 365 Groups. How to record and access a Teams meeting. How to add a SharePoint List into a Teams Tab. Configure Microsoft Teams to improve your governance. *BONUS* Best practices for using Microsoft Teams. I will be able to join a Skype call (to receive the training). I will agree and attend an online meeting within a mutually agreed time. I won’t record the session (this is available as an “extra” for $50). I will not bring more than 5 to the training (more can be purchased on request). The training usually takes 50 minutes so there will be 10 minutes to ask me questions. As an added extra you can also book another hour with me to drill in and demonstrate any further features. Pricing – How much do I charge? Value of Skills – Take a look on Marketplaces (and job sites) to discover the market rates for your particular skill. Value of the Job – Try to understand the value of the activity you are offering based on the skills, duration and any market information you can find. Are there any similar jobs offered and how do they compare? Size of the Job – How long will it take you to deliver what you are offering? If you have to spend more time than you have quoted for then this can leave you out of pocket, or worse, end up with you unable to deliver which will result in a bad review. – See the section below on “Duration”. How much you want to earn? – Another consideration, should be around what are you willing to be paid for an hour’s work based on the above factors and your personal circumstances? You may need to charge top dollar to meet your expectations or you may be able to charge slightly less to give better value to your customers, get great reviews and possibly even get more work as a result. Pricing low can be as bad as pricing high – Don’t assume a low price is always a good thing, yes, it is good to be competitively priced, but consider that most will go for the middle of 3 prices when engaging someone for work. Do not over price or under price yourself out of the Market. Duration – What should my MicroJobs ‘Days to deliver’ be set to? Availability – How often will you be checking for new orders? What will the lead time be from purchase to actually starting and then delivering the work? What delays might there be in the availability of the customer, where their input is required? This will change over time depending on how busy you are and as your experience grows of jobs, so don’t forget to update your MicroJobs as you learn. Also don’t forget to use the ‘Vacation’ mode to stop people purchasing when you are busy or away. Rework – Will the job likely need any customer review and rework to get to what is defined in the MicroJob, if so you need to factor this into the overall duration. Contingency – It’s always worth adding contingency to any work, but is particularly important for this kind of remotely delivered work. Yay!! If you have followed all the guidance you now have an awesome MicroJob listed and are ready to start earning! However the work never stops. As with all these things when it comes to Freelancing there is no silver bullet to getting it right. Work on a basis of continual improvement, keep up to date on the state of the Market, how well your jobs are selling, any aspects that your customers have found confusing, how your competitors are doing. Review and tweak your MicroJobs as you move forward to get the most out of them.